It is evident that job scarcity in Finland has been rampant, especially if you don't have sufficient Finnish language skills, but all hope is not lost. With positive attitude and some little efforts in learning the language luck may come your way. You may be discouraged by the complexities of the language. I reckon with the wise words of the American industrialist and founder of the Ford Motor Company, Henry Ford, who once said, "whether you think you can, or you think you can't – you're right. When I started learning the language it was quite difficult for me to understand even the basics, not to mention the pronunciation. However, I am grateful that I can manage with the little Finnish I have learnt and practiced. I am still optimistic that one day I will have proficiency in the language. I hope and wish the government will one day consider foreign students after graduation and arrange Finnish courses for them and at the same time extend their permits since most people prefer to hunt for jobs immediately after graduating in order to secure their permits instead of furnishing their language. Last but not the least I have a piece of advice to those who are coming to Finland: never be discouraged that Finnish language is difficult. Have a positive attitude that you can make it and surely you will. 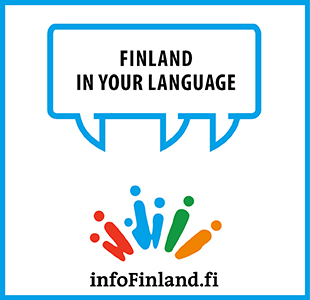 And it is possible to search for Finnish learning materials from the Internet. This is the only way to ensure a smooth transition and integration into the Finnish society.